Prime Trust, a small U.S. financial institution that’s played a behind-the-scenes role in several dollar-backed cryptocurrencies, is entering the hotly competitive crypto custody business. Revealed exclusively to CoinDesk, the Nevada trust company quietly began offering cold storage for bitcoin in mid-July, and will announce next week that it can also handle custody for ether and any token issued on the ethereum blockchain under the ERC-20 standard. Such services are in demand among institutional investors, who despite the bear market find crypto’s returns alluring, but don’t want the bother of protecting the private keys to a digital wallet and/or are required by law to use a qualified custodian. In cold storage, these cryptographic keys, which are like a long password and can be used to drain the money from a wallet, are kept offline, on a hardware device or a piece of paper that’s typically locked away in a safe. However, several big names in financial services are entering this niche as well, with Northern Trust, Goldman Sachs and Intercontinental Exchange (ICE), the parent of the New York Stock Exchange, all looking to offer institutional-friendly solutions. Crypto startups like Coinbase, BitGo and Ledger have also been courting this market. Previously, Prime Trust was known in the crypto space for its back-office role in the so-called stablecoin announced last month by IBM and startup Stronghold. The token, issued on the Stellar blockchain, is backed one-for-one with U.S. dollars that Prime Trust deposits at federally insured banks where it has relationships. Purcell said it’s also providing this service to 10 similar projects. He claimed his company will be the first to offer custody for any ERC-20 tokens, which he described as no small feat. Purcell said his team solved a “massive technical problem” after partner company Polymath hosted a conference in Barbados. There, his engineers were able to spend quality time with some of the authors of the ERC-20 standard, which allows the creation of different tokens representing various kinds of assets on the same blockchain. “We had had an engineering breakthrough which now enables us to easily cold-storage any ERC-20 token (along with BTC and ETH, of course),” said Purcell. 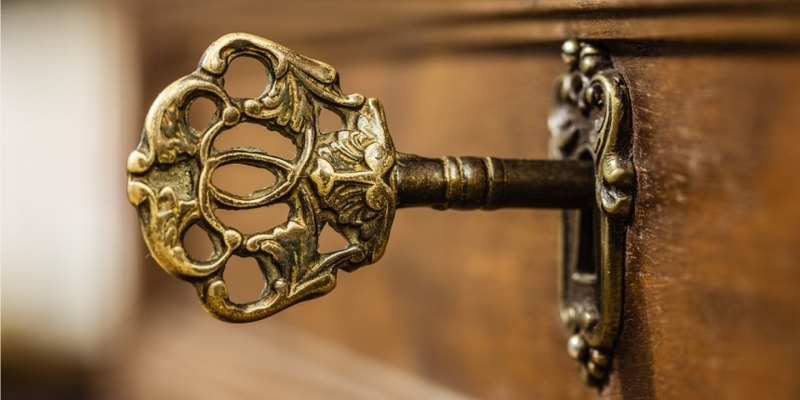 Lock and key image via Shutterstock.